I always get fuzzy about lions and lambs in March. Is it always one or the other? (In like a lion, out like a lamb. In like a lamb, out like a lion.) March represents so much to a gardener. It’s a time of anticipation and preparation. 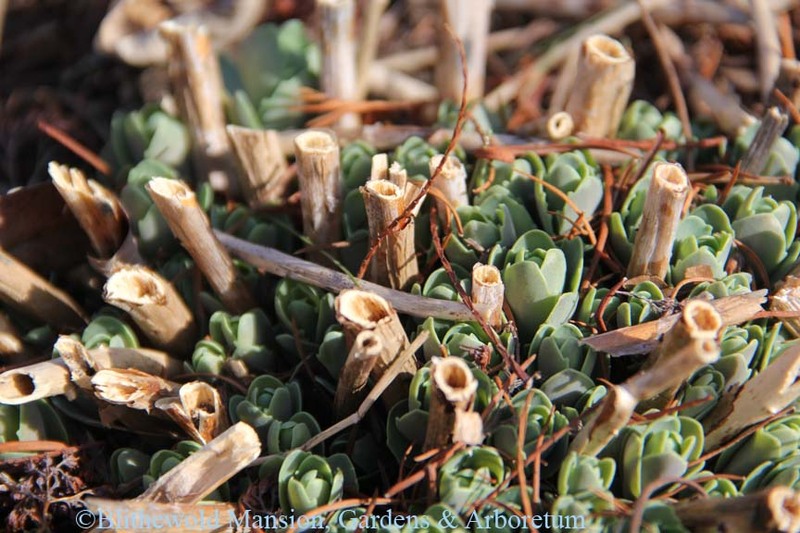 We know that the long days of spring are ahead of us and we are eager to begin the work of preparing the gardens for all the plants we’ve started from seed or ordered from our favorite plant companies. Spending days outdoors this time of year is so healing for me after a winter spent inside. I’m so grateful for our beautiful greenhouses and the Collection plants that live under glass, but nothing compares to working in the sunshine and fresh air. It’s true that we’ve all been a bit sore after the past couple of weeks working outside for the first time in months, but it is totally and completely worth it. 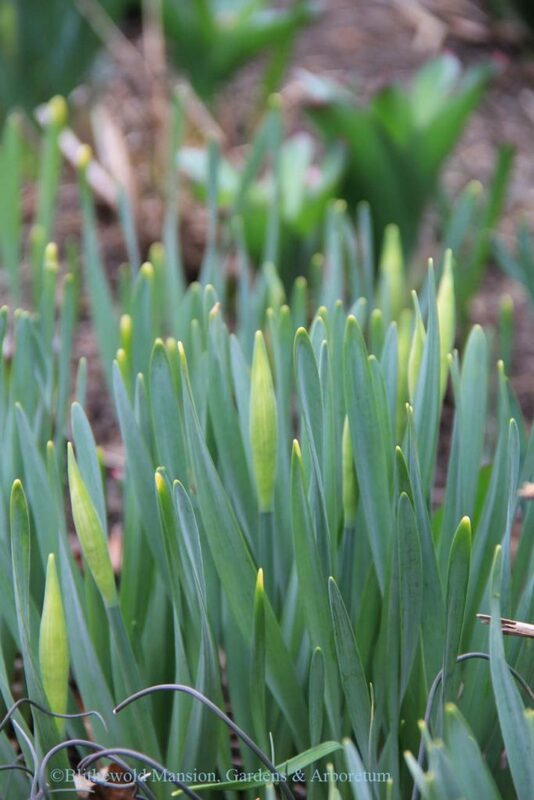 The gardens are just as ready for spring as we are. Some of the perennials are just starting to emerge with their first leaves under the cover of last year’s growth. It’s still early to cut back the garden, but we are on a slightly different schedule than the home gardener. 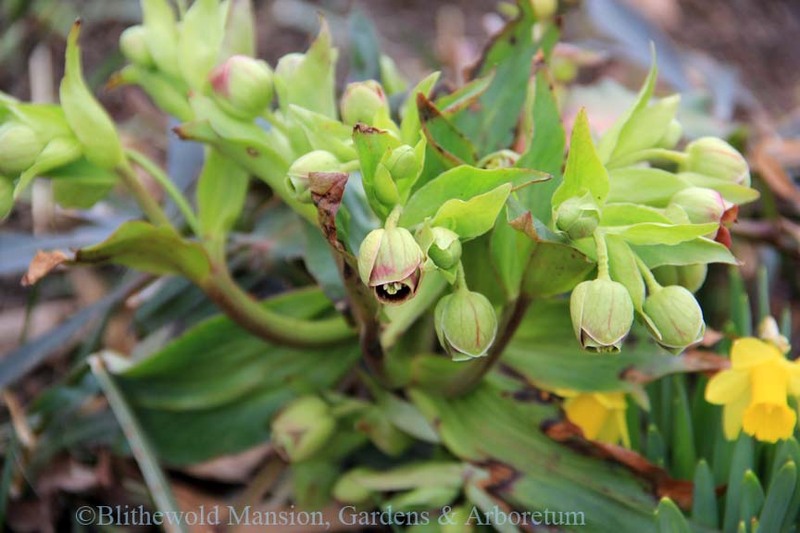 Our gardens here at Blithewold are cut back in late March in preparation for April opening. If you are one of the many people anxious for the first daffodils to open, I have a small (literally) treat for you. 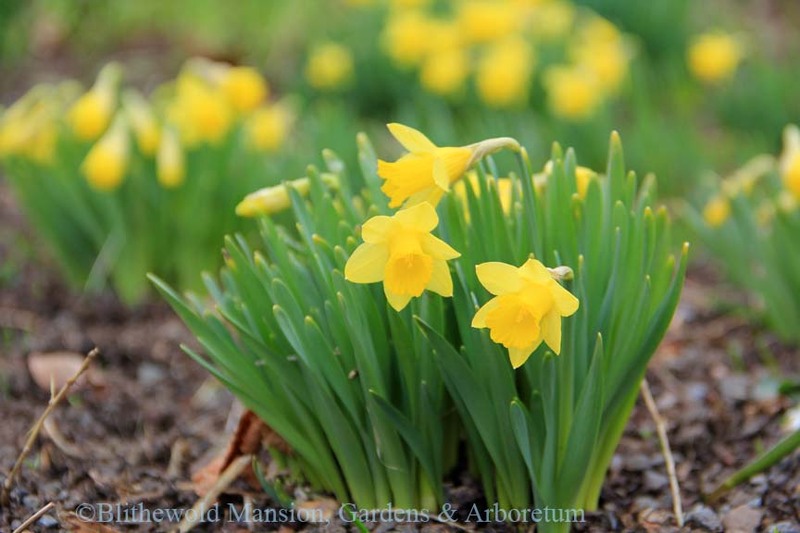 Standing at about 4″ tall, Narcissus ‘Little Gem’ is blooming in the Moongate garden. This daffodil is the first to bloom for us each year. 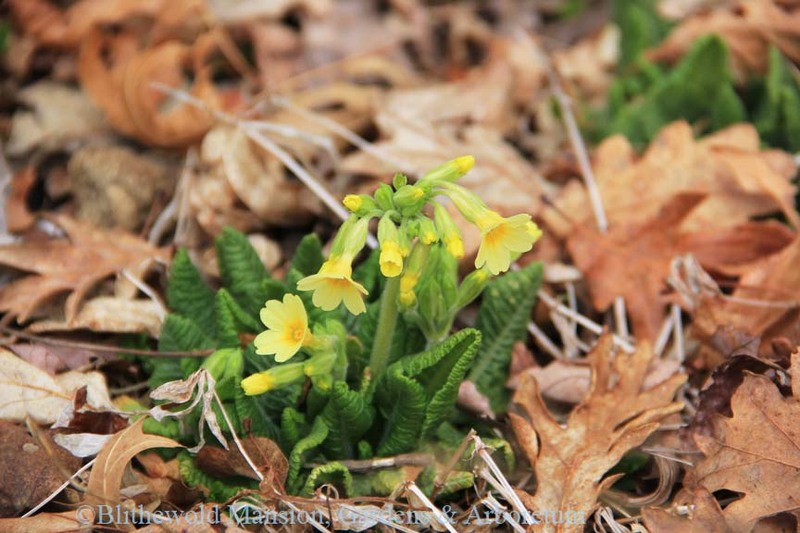 It lets us know that thousands more beautiful blooms are not far behind. The ‘King Alfred’ and ‘Ice Follies’ daffodils will begin to bloom in another week or so, followed by the 40+ other cultivars we have here at Blithewold. Daffodils are at their peak here around the second and third week of April. 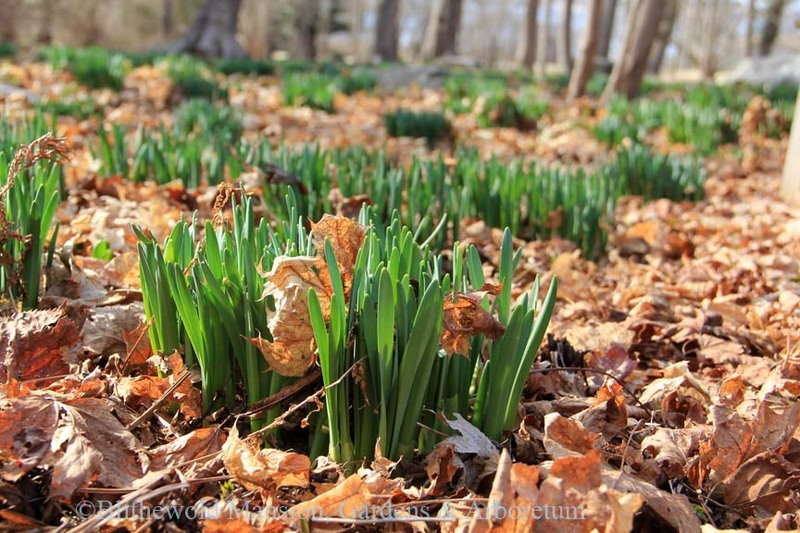 It’s nearly impossible to say exactly when is the perfect time to see these incredibly cheerful blooms, but any day with daffodils is better than one without them. Stay tuned on the blog and Instagram (@blithewold_mansion) for more updates. In the meantime, there is so much still to see here. 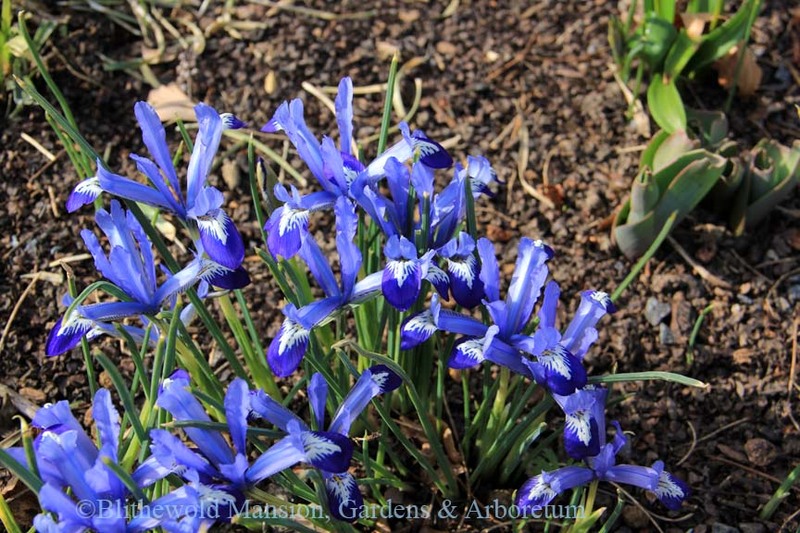 The reticulated irises are still blooming their sweet little hearts out in the Moongate garden and the North Garden. 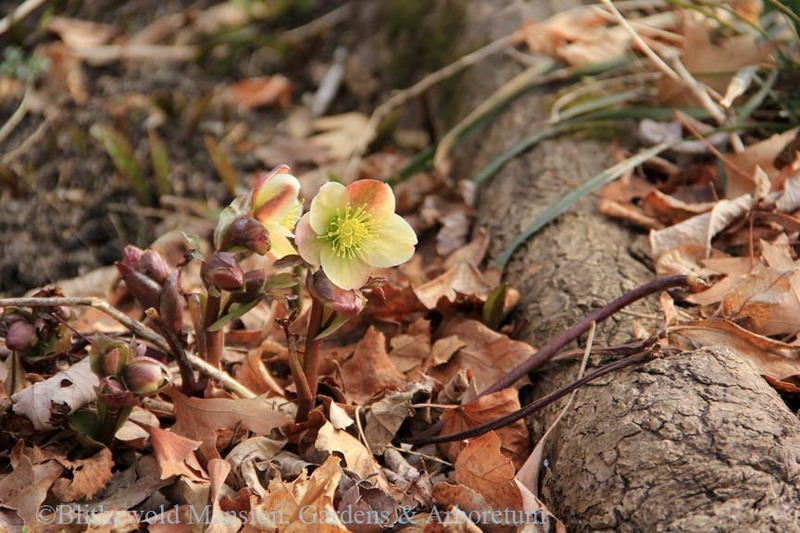 The hellebores, primroses, and crocuses are all in their element in these moderately cool early spring temperatures. 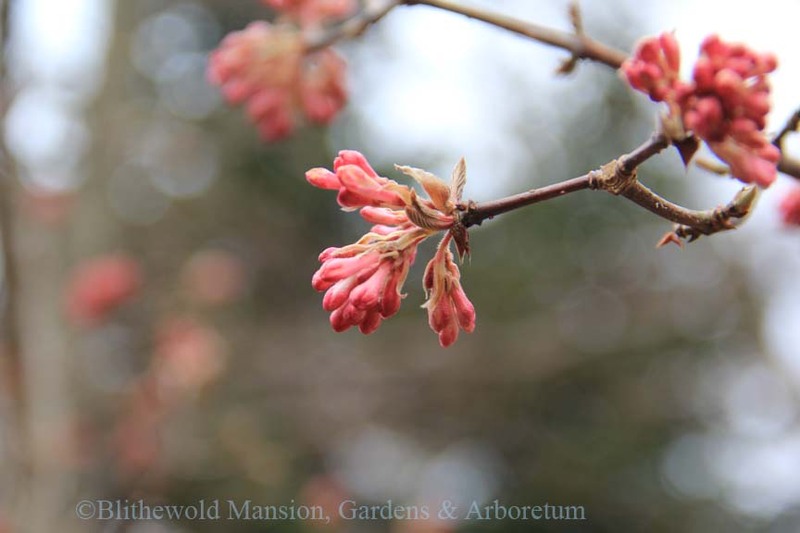 The trees and shrubs are still waiting for temperatures to rise a bit more before the buds break open for the growing season. A few early treasures are beginning to show color. The mansion officially opens for the season on April 13th. 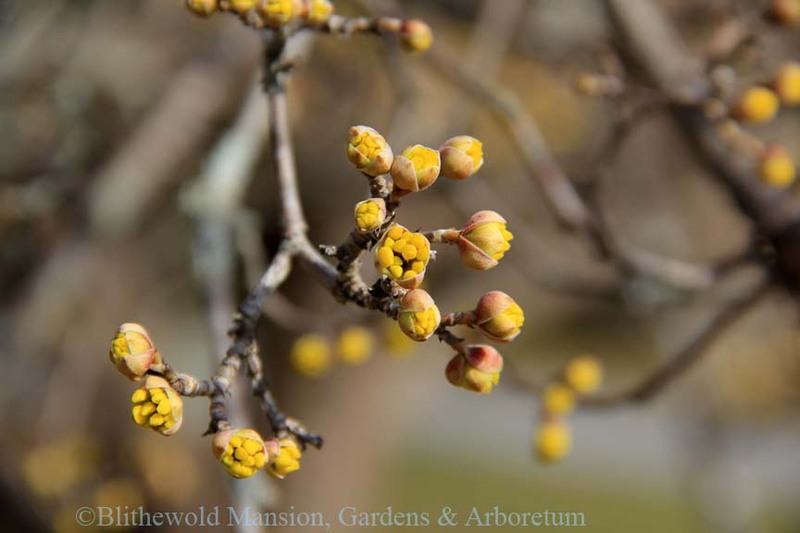 The gardens and grounds are open year round 10 am to 4 pm. Spring here we come! 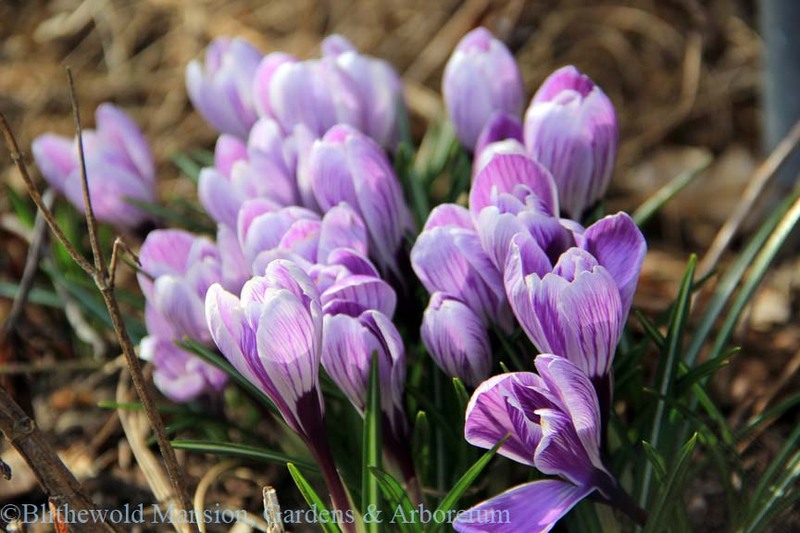 Hope to see you strolling the gardens and taking in all the spring blooms in the next few weeks!